We're having a Pet Photo Contest! There is no theme this month. 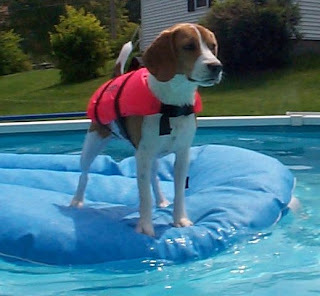 Send in your photo, slide show, or video of your pet doing whatever: sitting, begging, sleeping, playing, in the house, in the yard, in the water, well, you get the picture (pun intended). We'll be accepting entries September 1st through the 20th. I'll begin posting them when I return from vacation, sometime after the 12th. Congratulations Melvin! 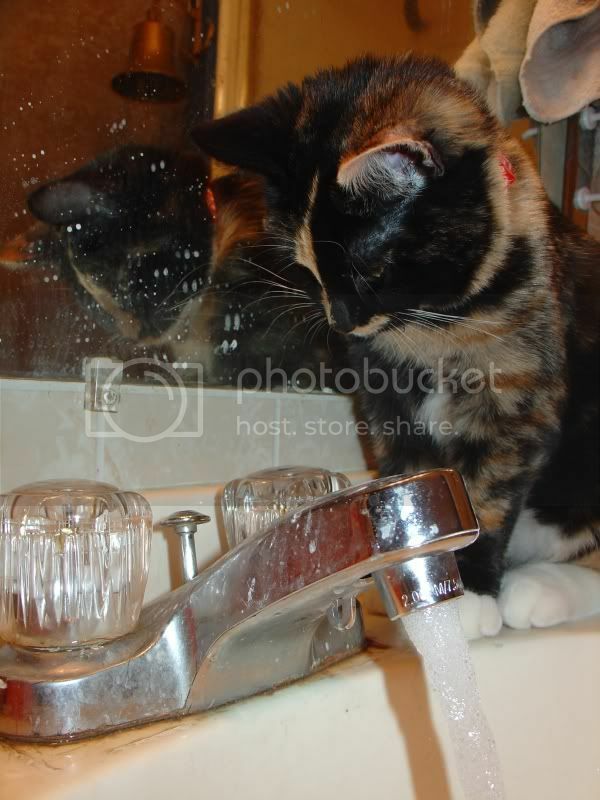 We love your sink shower photos! Melvin has won a free PetsJubilee Pet Sampler box and his picture will be our team store avatar for the month of September. Melvin's mom is Mouchois. Please visit their store when they return from vacation. - Voting will be from August 16, 2009 midnight EST through August 23, 2009 at noon EST. "Carmella likes to cool off in front of the air conditioning vent in the kitchen." "She's too little to be cooling off in the heat. 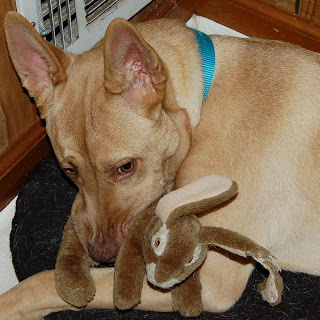 Born 7/26/09, we call her 'Minnie'." Stop by the Pets Jubilee Team store for a Pet Sampler Box - we have 2 box sizes left. "Hi. My name is Copper. 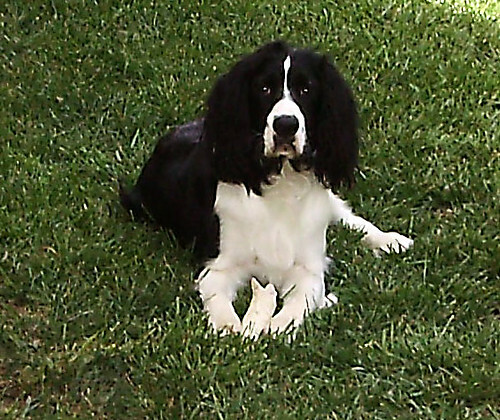 I am named Copper, since I am black and white like a cop car. I have been in my new home for a year. I love it and my big brother Cody is really cool. When it's hot I love to hang outside in the shade and chew on a bone. I am very content here!" easy, as you could imagine." 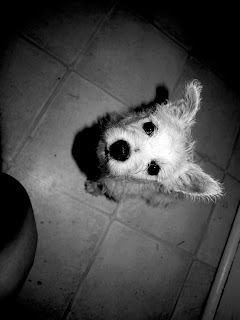 "He's a 12 week old Westie (West Highland White Terrier). He LOVES taking baths to beat the heat! This was taken after one of his baths. 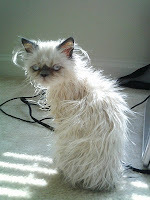 We give him a bath often and he smells like a Pear-Apple puppy when he's done." 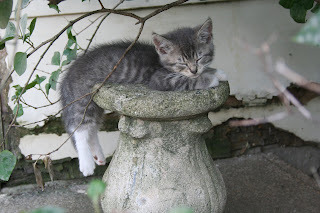 "Buttons escapes the summer heat by cat-napping in the shade of the lilac bush, stretched out on her little concrete pedestal." 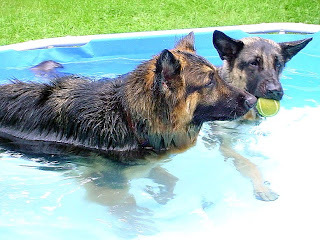 "Keep cool in the pool and play ball too! Life is good!" 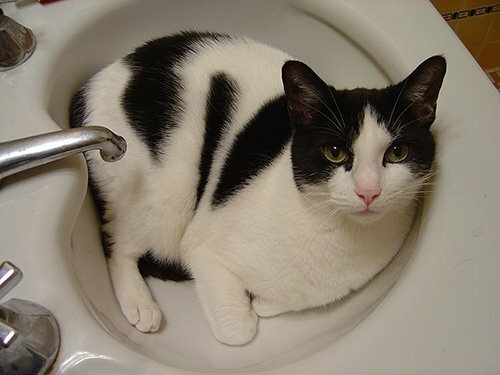 "She likes to cool off in the heat by playing in the bathroom sink." 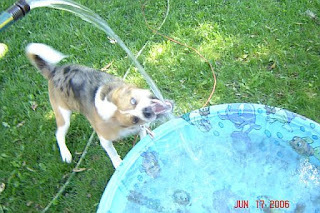 "On hot days, we like to fill a kiddie pool up for her to play in, but she can never resist trying to "catch" the hose water in her mouth! Its just hilarious - just trying to water the flowers gets her excited!" "Why should I leave my bed so you can brush your teeth?" Jack is a 4lb ball of fire! 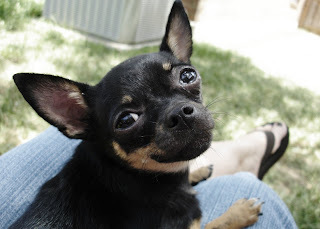 He likes to cool off by hanging out in the shade on mommy's lap. His human sisters play in the sprinklers, but he's not a big fan on water! Sasha beats the heat by fishing for ice cubes in her water dish. She is so cute when she does it, and she even gets all the cubes out before they melt. We're having a Pet Photo Contest! The theme this month is "Beat the Heat." 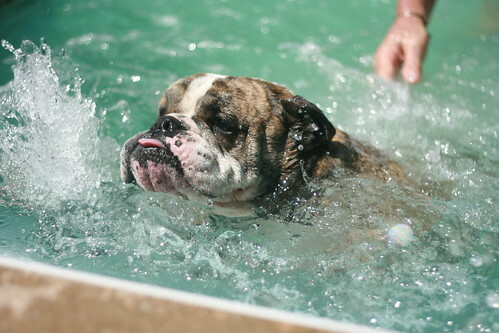 Send in your photo, slide show, or video of your pet and how he/she deals with the summer heat. Some pets sprawl out on the linoleum, others park in front of a fan, and still others are even more creative than that. Whatever your pet does, we want to see. DianaDesignsNY the winner of last month's contest created a slideshow to kick off this month's contest to illustrate an example of our theme. Please see Sinbad "Beat the Heat"